My friend Cheryl Reid is enjoying a runaway success with her Diary Of A Menopausal Woman. We chatted about life, water for irons and her writing. Cheryl I understand there is a new man in your life called Trevor. You are down to your last rolo, who has it you are Trevor? Trev of course. I am hopelessly in love with him. I would give him the moon on a stick if I could. Your Diary Of A Menopausal Woman is proving a huge success on kindle. It’s self-published and you are not known for your self-promotion so why do you think people identify with it so much? I have no idea. I still can't believe it. Perhaps because it's real life and maybe because I see the funny side of life. I laugh in the face of adversity. I'm not up me own bum and I'm not a celebrity. I'm just a working class woman who is not impressed by 21st century consumerism. I would much prefer to rummage around in a charity shop. I bought a lovely top last week for £3.25. I was chuffed to bits. My Diary also deals humorously with my battle with chocolate addiction. I think most women, menopausal or otherwise can relate to this. Anyway, you should know better than me Daz, you've read it. One of the entries in your diary deals, hilariously, with the subject of special water for irons. Now you are a successful writer do YOU buy water for irons? I would never buy water for my iron. Tap water has always been good enough for me. Being successful does not mean I will get any fancy ideas above me station. Also, being successful does not mean I can afford bottled water. I only get 30p per book. Perhaps now is the time to put the price up. It’s A Friday night. There’s a bottle of wine in the fridge and a lady of a certain age is alone with her kindle and unlimited CDs. What should she listen to whilst reading your diary? I love to boogie by T-Rex just because it is such a banging happy tune and if they are reading my Diary they will probably be in a happy mood. If you could give menopausal women one piece of life advice what would it be? Turn that frown upside down and keep smiling. Laughter is the best medicine. Writing is like breathing. I just do it without thinking. Maybe I'll write a book about how, against all the odds, a menopausal woman who thought she was destined to be alone with her dogs forever, met the love of her life and lived happily ever after. 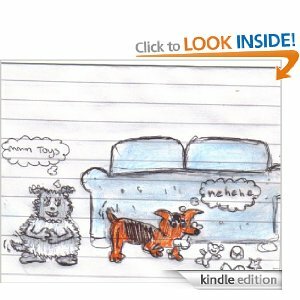 I have an authors page on Amazon but all they will find is pictures of my dogs and one daft one of me. I am on Facebook so I shouldn't be too hard to find.